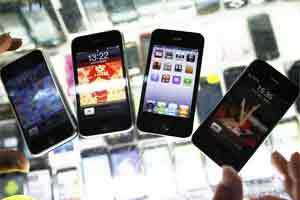 New Delhi: Mobile handset sales in India, the world’s second-biggest wireless services market, are expected to grow an annual 8.5% and reach 231 million units in 2012, technology researcher Gartner said on Tuesday. There are more than 870 million mobile users in India and the country is one of the world’s fastest-growing cellular markets in subscriber additions. Handset sales in India are set to reach 213 million this year, Gartner said in a statement, adding annual sales could top 322 million by 2015. Nokia and Samsung Electronics that lead the Indian mobile handset market are facing the heat from Chinese and local brands such as G’Five, Karbonn Mobile and Micromax who have gained market share through cheaper offerings. “The big global brands will continue to face competition from local and Chinese brands as some of these brands are building capabilities to compete at a larger level covering broader consumer segments," Anshul Gupta, principal research analyst at Gartner, said in the statement. For the three months to September, smartphone sales were 6% of the total device sales, Gartner said, and expected the share to go up to 8% in 2012. The average selling price for a mobile device sold in India is about $45, with three quarters of the devices sold costing below $75, it said.